According to a Yale Forum analysis of advertisements in four national magazines from 2005 to 2010, “green” messages slowly increased from 2005 to 2007, then peaked from 2008 to 2009 yet crashed down to its lowest level in 2010. 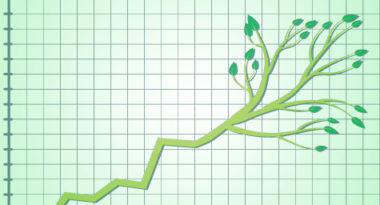 GreenTechMedia.com took a closer look at this surprising study to shed light on the evolution of green advertising. The purpose of the study was to determine how American and international companies responded to changing levels of media coverage and public discussion in regard to global climate change. Researchers tracked the number of full-page ads with an environmental message placed in Time, National Geographic, The Atlantic and National Review. The first three of these titles were chosen because of their mainstream appeal and broad readership, while the conservative tone of the National Review’s editorial and advertisers was thought to provide an intriguing counterpoint. After totaling the number of “green” ads in each issue, each ad was then examined for key terms related to climate change. Researchers concluded that at the beginning and end of the time period analyzed, approximately five percent of the full-page ads in three of the four magazines featured “green” messages. From the end of 2005 through 2007, the appearance of environmental messages slowly increased. The number of these ads peaked in 2008, then fell slightly only to experience a smaller peak in the end of 2009. Apparently, ads with green messages become a larger part of the ad mix as public awareness and concern about global warming grew. Suddenly in 2010, the number of “green” ads plummeted to the levels of early 2005. Experts believe that the sharp turn-around was due to a number of factors. First, the major climate conference in Copenhagen at the end of 2009 had failed to deliver any major action on global climate change. Also, the Northeast had experienced a major snowstorm that led many of the energy-producing companies who has previously placed “green” ads to redirect their messaging toward heating these needy cities. Yet, there was one form of messaging in the National Review that showed no decline. Companies associated with nuclear power continued to place ads in the conservative magazine despite the trend away from these environmental messages. While 2010 marked the end of this “green” advertising era, some of today’s leading automobile companies are trying to re-build momentum for action on climate change through ads for their hybrid vehicles. In fact, two of the four magazines from the study showed a slight rise in the percentage of these “green” ads in the second quarter of 2011. Many are hopeful that this strong push to grow the hybrid market will spark a reaction among other companies to refocus on the environment. Only time will tell if “green” will start coloring the ads and magazines of tomorrow. If you’re interested in making green advertising a part of your marketing strategy, contact MDG today.